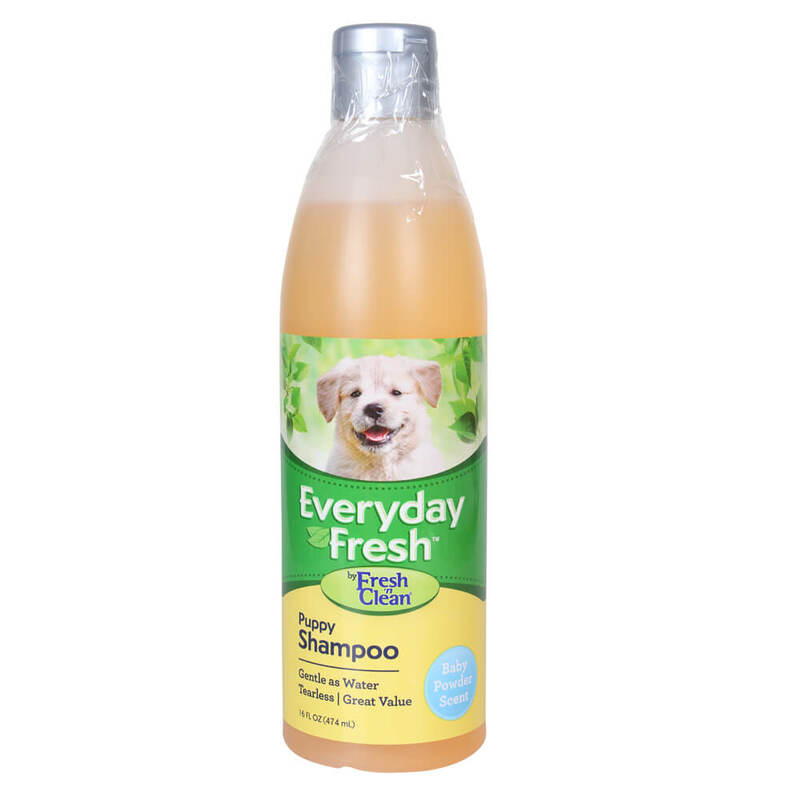 Everyday Fresh Puppy Shampoo by Fresh ’n Clean gently washes at an everyday price. The baby powder scented formula with aloe vera is soap-free, biodegradable and easy to rinse. Gentle as water and tear-free leaving your pet with a long lasting fresh scent.